The four young artists came to the end of their six month stint at Hospitalfield with Cowie but this was not to be the end of their friendship. Indeed, they all remained friends until Joan’s untimely death 16 years later in August 1963. The success of William and Joan at Hospitalfield culminated in their joint exhibition in the museum of the GSA, autumn 1947, with their work selected by members of the teaching staff. William then entered the department of Industrial Design; a change of direction away from drawing and painting. Already a skilful portrait painter he was keen to develop his design skills further having already studied design at senior school, Paisley Technical College and School of Art and the GSA. Post war industry and business design projects would bring better prospects for employment for a young man looking ahead to the responsibilities of married life. Probably encouraged by the success of William Crosbie, Mary Armour, David Donaldson and others in obtaining mural commissions, mural design became his specialist subject for this post diploma year. His first major mural ‘Salome’ was completed in 1948 on the wall of the refectory* of the Glasgow School of Art and here you see the ‘picture within a picture’, complex perspective, and the high standards of structure, form and composition expected by Cowie. He was awarded a highly commended post diploma in Mural Design at the end of his 1948 session along with a half-share of the James Brough Prize for the best designed architectural interior along with his fellow student and friend sculptor Tom McNair. * The very refectory in Alisdair Gray’s ‘Lanark’ where a young Duncan Thaw, the protagonist spends time with his fellow art students. (ref: ‘Lanark’ chapter 22).This contemporaneous with Alisdair Gray studying Mural Art at the GSA from 1952. On completion of his final year William now had the opportunity to make use of his travel scholarship awarded the previous year. This took him to London on June 22nd 1948 where he stayed the night with The Two Roberts, Colquhoun and MacBryde, while arranging to find digs for another nine days. William who was known for his mischievous sense of humour, liberal thinking and had been toughened up by five years at sea would have felt at home in their company. He had known The Roberts from art school days with the same teachers Fleming and Crawford and they also had both been students of James Cowie. (Glasgow School of Art hold the painting of The Two Roberts by Ian Fleming). Colquhoun and MacBryde had become two of the most talented painters to arise from the early years of the war, arriving in London in 1941. At this point in time the Roberts were busy preparing for an exhibition in The Lefevre Gallery planned for August as well as for December at the Redfern Gallery, both in London. A thorough biography by Roger Bristow details the life of these two young Scottish artists and is a fascinating read for those interested in wartime and postwar art. 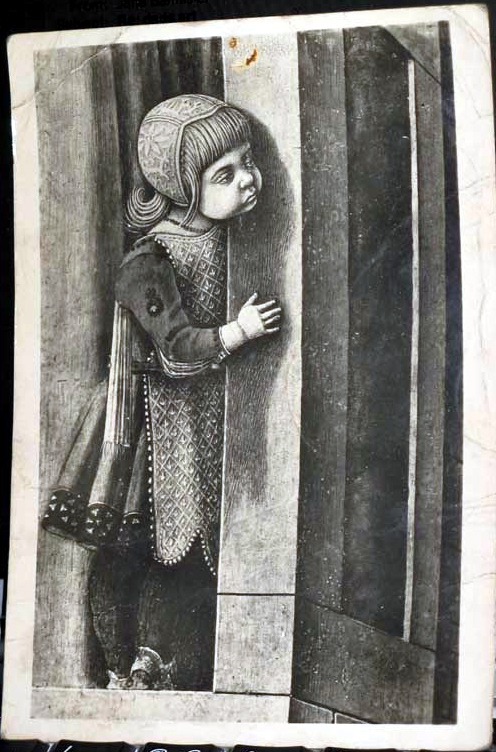 The following day he visited the London galleries and while in the National Gallery he purchased a postcard to send Nita letting her know of his safe arrival - Crivelli’s 'peeping girl’ a detail of his ‘Annunciation’. This was one of Cowie’s favourite quattrocento artists. He had the same painting in an art book which he admired and often studied; for William a shared reminder of Hospitalfield days. William visited a number of architectural masterpieces across London and the South of England, for example, Spencer House and Wilton House, Wiltshire. But before continuing with his study tour he found time to visit the House of Commons where he met up with his uncle the MP Willie Gallacher. 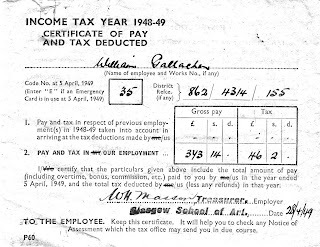 On return from his travels William took up a post in October 1948 teaching evening classes at Glasgow School of Art. This post war art period was a time of great change, not only with ex-service men returning to continue with their interrupted studies, but with a number of staff changes in key positions of management and teaching. The long standing head of Drawing and Painting, Hugh Adam Crawford, dedicated teacher with GSA for 22 years, had recently been appointed as Head at Gray’s School of Art, Aberdeen. Finally, in 1953 he succeeded Francis Cooper as Principal of the Duncan of Jordanstone Art College, a post he held until 1964. Crawford’s replacement, Professor Gilbert Spencer, brother of Stanley Spencer, arrived from the Royal College of Art, London. A new Director, also recently appointed, Douglas Percy Bliss, was a graduate of English at Edinburgh University, and like Spencer, a student of the Royal College of Art. He became the longest standing head of the school after Sir Francis Newberry and ever forward thinking put the Design School on a new footing, creating three new restructured departments, interior, textile and Industrial Design. While providing them with funding for fully equipped workshops, he raised them to the same level as Diploma subjects. William undertook a prodigious volume of work this year, teaching at the GSA, designing a set of mural panels for a Portuguese ship, and in addition spending four months painting a mural. 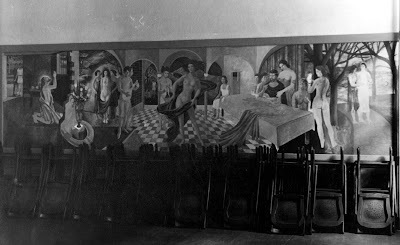 During 1949 he undertook a second large mural over three months. Meanwhile he continued teaching life drawing, and drawing and painting to students in the school. Whilst William threw himself into the hectic world of the GSA, Nita continued to paint at home. She had access to her father’s studio but preferred to paint about the house and garden much to her mother’s indignation. Her mother’s apology to her neighbour for her daughter’s outdoor painting activities, with the attitude of ‘not what a young lady should be doing’, left her mildly indignant into her old age. Her subjects were her young nephew and his friend along with any other members of the family who sat still long enough. 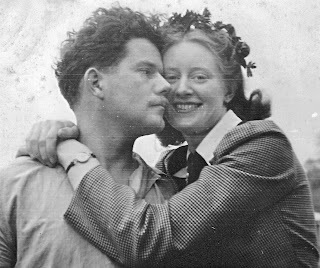 William and Nita, now engaged to be married, travelled back to Arbroath in the summer of 1948 at the invitation of James Cowie. Earlier during the war years Cowie had initiated a drawing class for the young volunteers at the Royal Navy Voluntary Reserve based at Arbroath as a way of encouraging regular practise. 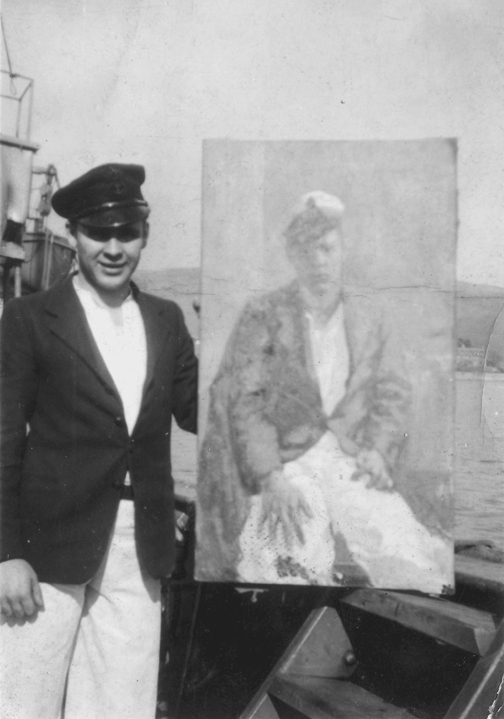 William himself had continued to draw and paint while away at sea. Cowie further showed his keeness to provide art classes for a wide range of people, by re-establishing Arbroath Arts Society around 1947, and on this occasion asked William to demonstrate the process of portrait painting. 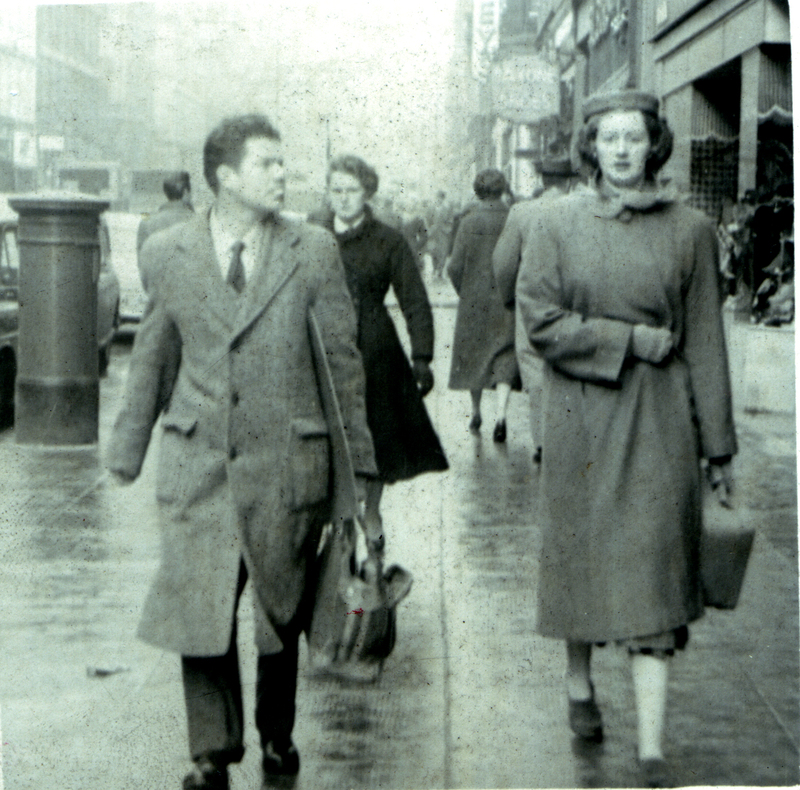 During 1947-48 Joan was also studying a postgraduate course at the GSA and, since their joint exhibition in the museum in autumn 1947, she kept in touch with both William and Nita. Joan was very diligent in keeping in contact with her close friends and family. In these days daily letter writing was not uncommon, much like emailing and texting of today’s young people. Joan wrote many letters to her mother from Hospitalfield and whilst on her travels, also to her close friend Margot and later Audrey Walker, her Aunt Sybil Morrison, Nita and William. Cards were exchanged at Christmas and holidays. Nita had been invited to spent time with Joan and Margot but her father would not allow her the same freedom extended to others. Having lost his son in 1941 at El Alamein he was nervous of Nita going away with them. Naturally Nita felt she had missed out on these adventures, however, as Joan who was very shy often felt more reserved if there was more than a one-to-one situation and would withdraw on her own, it was probably for the best. 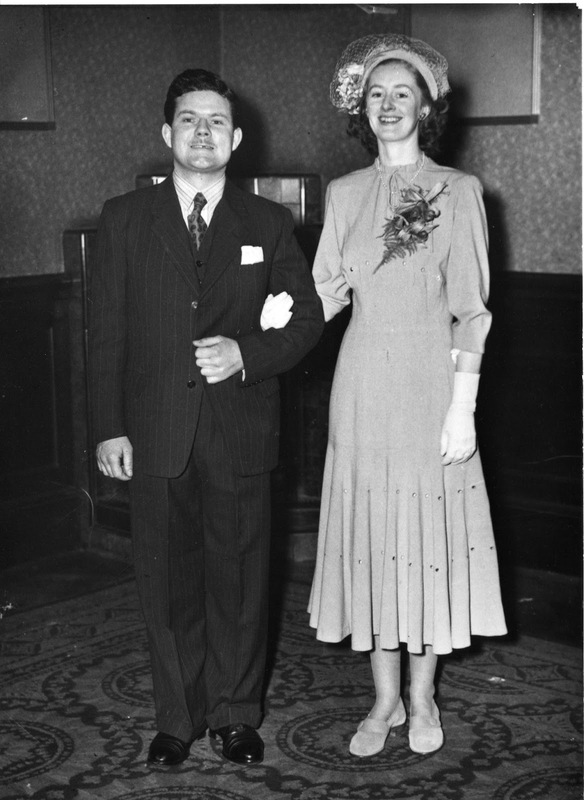 By now William and Nita spent any spare time together and married on 26 December 1949 at Central Station Hotel in Glasgow where Nita’s parents had also married during the First War. 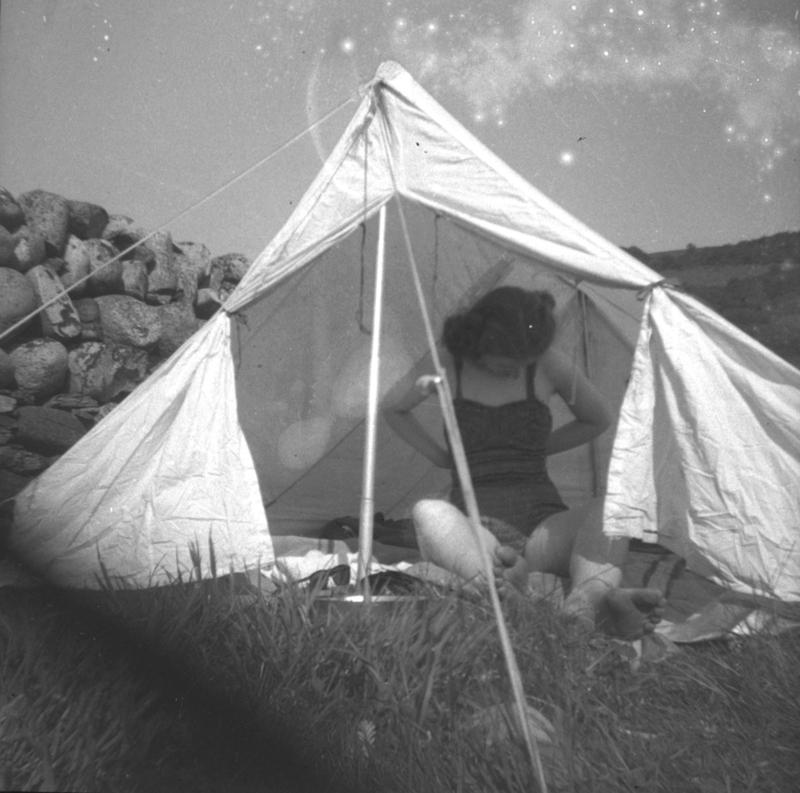 In the better weather they set off on an appropriate honeymoon for two penniless postwar students, travelling by bicycle and pitching William’s homemade tent. It was crafted by his mother who was well known for her dressmaking skills. Her abilities were often employed by friends and neighbours, especially during the war years when she fashioned and refashioned shirts, coats and dresses. 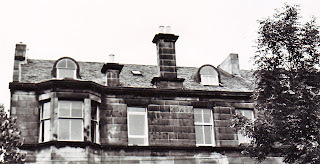 Their first home was in the professional area of Dennistoun. A top floor flat, the interior of which they designed in the make shift way of the post war years. 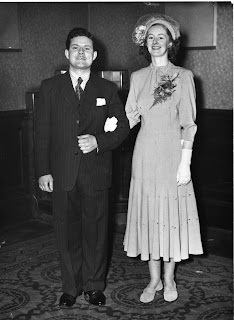 William made use of his by now well-honed design, decorating and joinery skills combined with lesser skills of wiring and plumbing while Nita fashioned a decorating ceiling from purple and yellow diamond shaped paper and furnished with hand-me –downs and homemade furniture . A new addition to the family, Nita’s springer spaniel, proved to be a challenge. A highly strung creature, I am sure the neighbours wished it was, for if left for if left alone for any time it would bark continually. A desperate neighbour resorted to stuffing food through the letter box but this only made it bark for more. Soon the dog would be taken by tram across to Mount Vernon to be babysat, especially on cinema evenings. Nita concentrated her creativity into the planning and design of a number of works and by 1954 was confident enough in her efforts to submit two finished paintings to the Royal Institute of Glasgow, RGI, Still Life (date unknown) and Portrait (probably Self-Portrait 1953). The following year she submitted work to the Royal Scottish Academy, RSA, for the first time, Victoriana (c1954). In 1955 work was submitted to both the RGI and the RSA, Tom c1955 and Anemones c1954, respectively. Eventually the traffic noise and general hustle and bustle of Duke Street wore Nita down. With a preference for solitude and no distractions except for that of her classical music she found it hard to pursue her painting. 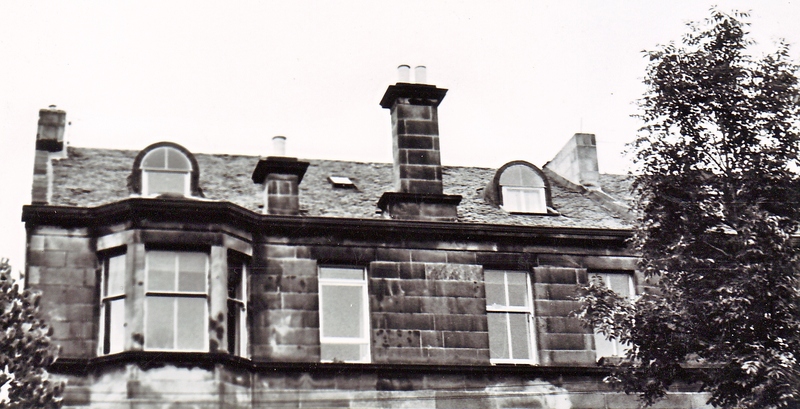 Thus by the middle of 1956, through her father, a property was found in Clouston Street, another flat, but in a leafier area of the West End adjacent to the Botanic Gardens. By coincidence this was a street with a reputation as an artist’s colony, home to such illustrious artists as J.D. Fergusson (also a member of Glasgow Art Club) and his wife the dancer Margaret Morris. In fact, the West End was already a bohemian quarter, home to many artists, playwrights and students as well as the BBC headquarters, Glasgow University, Scottish Ballet, Scottish Opera, Scottish Symphony Orchestra and dozens of other groups. However, this was a short-lived stay for Nita and William as it also had noise levels over and above the tolerance level Nita could abide. Also by now expecting her first much wanted child and after only six months in Clouston Street a final move, at least for a long while was made to Glasgow Street, Hillhead. It fitted the bill in many ways; what is now often referred to as a duplex, essentially a two story flat which was close enough to amenities but with almost no traffic. Two upstairs attic rooms, originally servants quarters were utilised as a studio each. A smaller room and a box room served as storage space, a small pantry with a sink for washing paint brushes and a large cupboard which William put to good use as a darkroom. 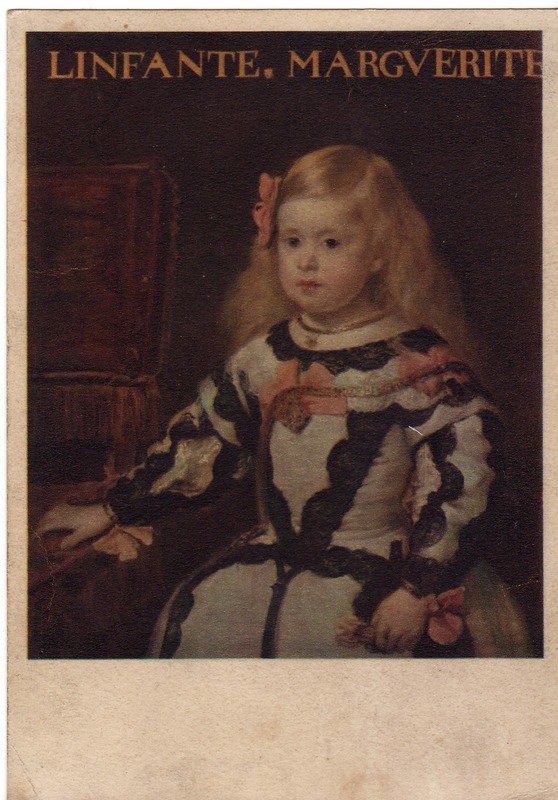 Here he developed and printed photographs of his sitters, some who were family members to aid his portrait painting. Enduring memories of their children were the odours of both linseed oil and the burning methylated spirit used in William’s primus stove which he used to boil water for his endless cups of tea he sweetened with condensed milk. There was no such luxury as a fridge in this bohemian home. Meanwhile, Joan was extraordinarily busy. At art school in 1940 Joan and Margot Sandeman had become companions since their families lived close to each other in Bearsden. A bold and adventurous pair; it was stated by Joseph Herman, the Polish artist who arrived in Glasgow as a wartime refugee, in his biography that it was Joan and Margot who brought him his first easel in 1940. They dragged a heavy Victorian easel upstairs to his sparsely furnished studio-room in Glasgow to enable him to paint more easily. By 1941, they were setting out on day trips together, travelling quiet back roads between Bearsden and Loch Lomond with their homespun gypsy-style caravan, the canopy of which they had fashioned using garden canes and a tarpaulin; a seemingly idyllic experience, nowadays unimaginable on these car crazy rural roads. 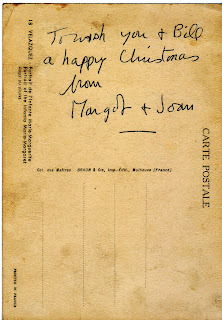 An invitation extended to Joan by Margot's family in the summer of 1942 to High Corrie, Arran, became a annual vacation. Time spent in Arran was not seen by Joan as a conventional holiday but opportunity to observe, draw and paint both nature in all its forms and ever changing colour; a range of subjects from rural buildings to characters such as Jeannie Kelso. Jeannie was owner of the tiny cottage which she and Margot Sandeman rented from 1943 for a number of years. 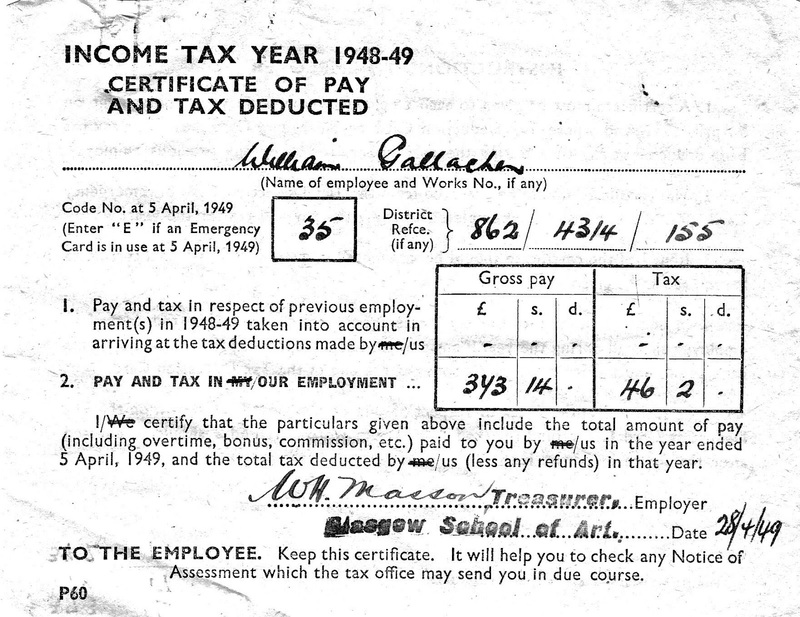 However there were times when Joan worked alone in Arran. Still very much wartime, Margot had been contributing to the war effort at Bletchley Park, a position secured through recommendation by her school-friend Moira Munro who was already working there as a decoder. Margot also took the opportunity to stay nearby Bletchley where she rented a hayloft for a short time. Joan travelled down and stayed with Margot here where she drew, painted and slept. Margot’s time at Bletchley was cut short as after a few months she was granted compassionate leave to help her mother recover from illness. Her break in studies for war service, the death of her father and her mother’s illness had interrupted her path and like many others did not graduate from the Glasgow School of Art. But, she did choose to continue her painting life and rented a studio in Cowcaddens, Glasgow, in 1943. By 1944 she was to spend more time with her fellow student and future husband James Robson. 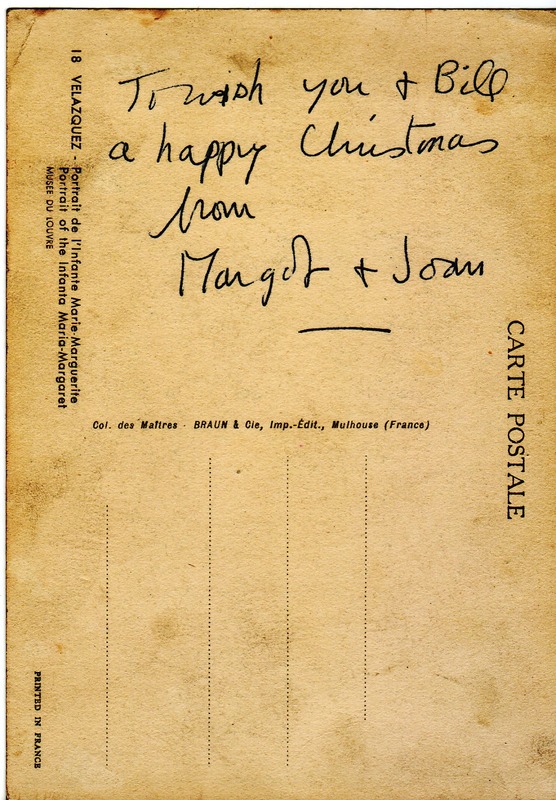 As the path of Joan and Margot’s lives diverged through the late 40’s and 50’s they corresponded frequently by letter. Margot married in 1946 and devoted the next two decades to her family. Joan was keen to get her work out to a wider audience and started exhibiting whilst she was still a student. In 1942 she exhibited Woman with a Shawl in Edinburgh with the Society of Scottish Artists (SSA). In 1944 she exhibited for the first time in the Royal Glasgow Institute (RGI), both A Pot of Potatoes and The Mixer Men. Also in the autumn of 1944 she exhibited A Pot of Potatoes in an exhibition of work arranged for students by Hugh Adam Crawford, while in 1945 exhibited Woman Reading in a show of drawings and watercolours by Scottish artists organised by the Council for the Encouragement of Music and the Arts (CEMA). Both the above mentioned Dr T. J. Honeyman, Director of Glasgow Art Gallery and Museums and Dr O. H. Mavor were members of the Scottish committee of CEMA at this time. In 1946 Joan spent time between London, Glasgow and Lincoln. In Lincoln she had been commissioned to paint a mural in a girl's college. This time not only provided her with a great deal of experience in painting a large mural but it was also an opportunity to study Lincoln Cathedral, the activity of Lincoln market, and spend evenings reading the headmistress' art book collection. It also reminded her of the challenges of teaching young people. In London she visited galleries including the Royal Collection and the Royal Academy while in Glasgow she visited exhibitions including that of Matisse and Picasso. Her habit was to observe and draw or paint when possible. But by winter 1946/47 she was frustrated and at times felt depressed. Opportunities for young artists in these days to exhibit in the long-established societies were limited. Two exhibitions in 1947 did provide opportunity to show her recent works; in Skelmorie, with The West of Scotland Artists group, organised by William Crosbie among others, where Joan exhibited some of her 1946 London drawings along with two Corrie work's, Kitchen Stove and Cottages in Arran, and also, in Daly's department store on Sauchiehall Street, where she exhibited a Corrie landscape and a drawing of Shepherd's market. By 1948 opportunities were opening up for Joan. At the end of the GSA school session in early summer of 1948 Joan was awarded her highly commended post graduate diploma with a travelling scholarship. The previous February of 1948 she had also been elected as a professional member of the Society of Scottish Artists (in summer of 1948 she exhibited two large ‘interiors’ with the SSA and three paintings, Beanpickers, Lincoln, and A Lincolnshire Cart were shown with the Arts Council of Great Britain ) and had won the Carnegie scholarship from the Royal Scottish Academy. With these scholarships she organised a tour of France and Italy for six months of this year. Visiting many towns including Florence, Venice, Milan and Paris she absorbed the shape and form of both landscape and architecture and was most drawn by the street dwelling people and country peasants. Much of her work unfortunately she destroyed before returning to Glasgow, only keeping that with which she was satisfied. On her return in April 1949 she gave a one-woman show at the GSA which was very well received.